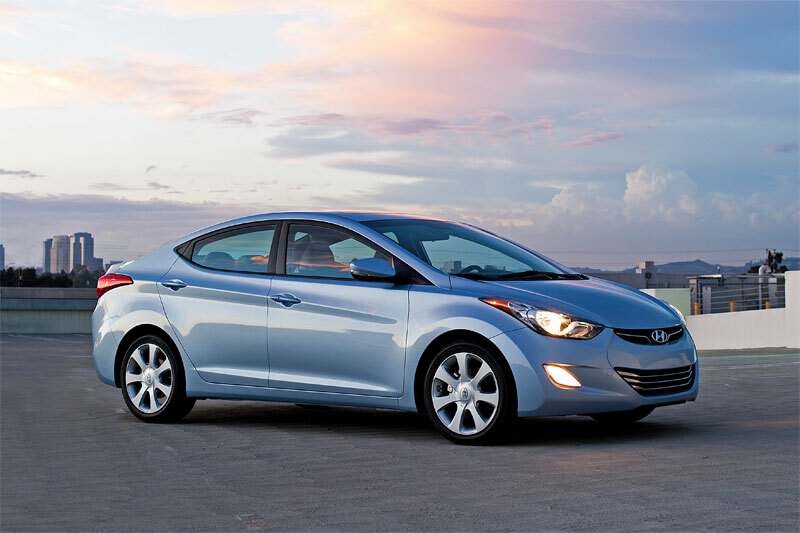 It was a long time coming, but Hyundai finally knows what it feels like to be on top: for a time, in the early part of 2011, the new Elantra compact sedan was the best-selling car in Canada. 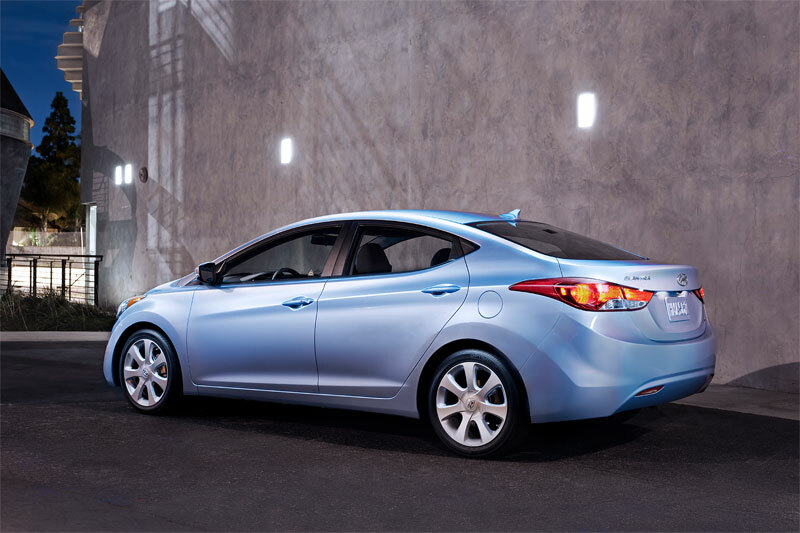 2011 Hyundai Elantra Limited; photo courtesy Hyundai. Click to enlarge. It’s a noteworthy accomplishment, but this new Elantra is also a noteworthy car that is new from the wheels up. Under its restyled – and verging on overstyled – sheetmetal is a 1.8-litre four-cylinder engine, producing 148 horsepower and 131 lb-ft of torque. It’s a smoother-running motor than the 2.0-litre that powered the previous Elantra, but can feel a bit weak at low revs; at least running it out to its 6,600 rpm redline generates satisfying sounds and strong acceleration. The six-speed automatic transmission, a nice step up from the old car’s four-speed auto, works well, shifting smoothing and responding eagerly to the throttle with downshifts when more speed is required. Even the manual shift mode, typically an afterthought in anything but a sports car, works almost well enough to satisfy an enthusiast who misses driving stick. That enthusiast will be better entertained by the Elantra’s handling, which is a far sight more fun than the last generation’s. The ride is taut but not uncomfortable, and the suspension takes well to being tossed into a fast corner. If there’s a criticism, it’s how easily the rear suspension loses its composure on rough surfaces and skitters side-to-side. Quite a lot of road noise gets into the cabin at highway speeds, too. Like the outside, the Elantra’s interior is attractive, but the daring design runs the risk of looking dated in a couple years’ time. The dual-zone, automatic climate controls that are standard in the Limited model, like my tester, are an ergonomic weak point: the small rocker switches that control driver and passenger temperature settings aren’t well-placed considering that they’ll arguably be used the most. The fan speed control, largely ignored by many drivers who use automatic climate systems, is, by contrast, a perfectly-placed, large dial. 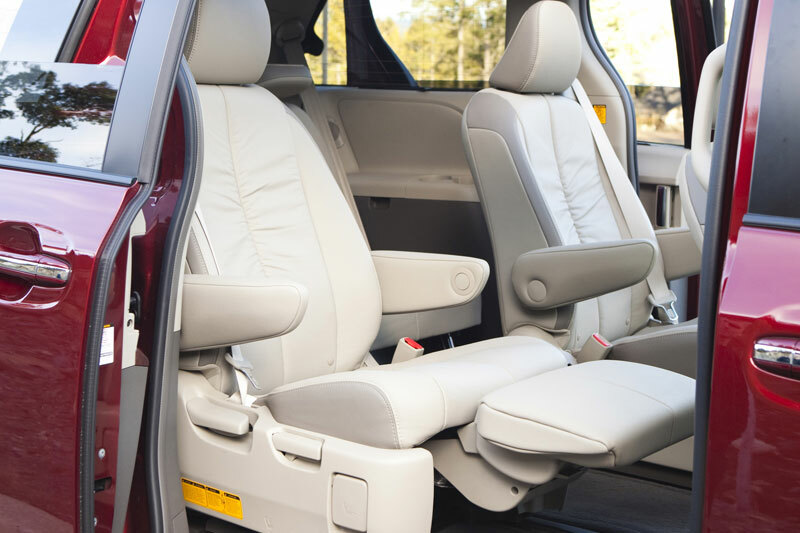 The interior is impressively roomy, particularly in the back seat, which approaches mid-sized sedan comfort and space. The front seats are less comfortable, at least to my own lower back; your mileage my vary. 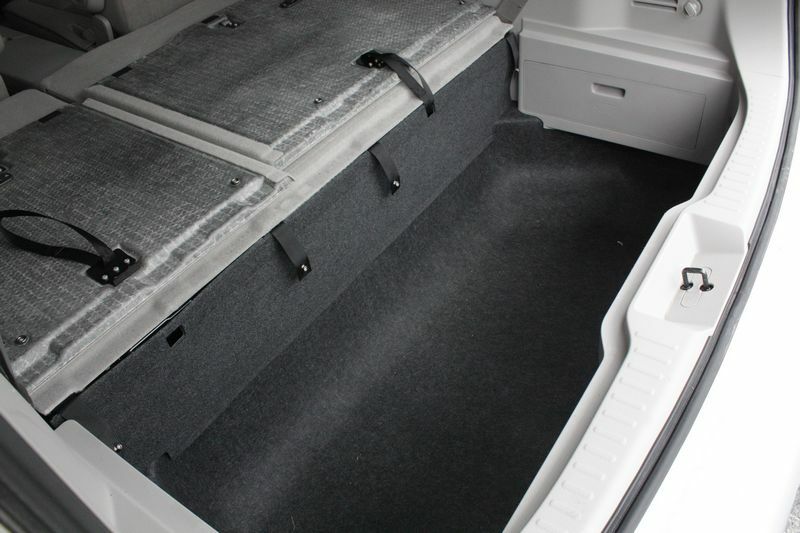 The trunk, at 420 litres (14.8 cu. ft.) in size, is large for the compact sedan class, and the rear seats fold almost flat to expand carrying capacity. Another improvement comes in the new Elantra’s fuel consumption ratings, at 6.9 L/100 km (city) and 4.9 L/100 km (highway), according to Natural Resources Canada. Impressive, yes, but these estimates are always optimistic; on an 80km/h run along a secondary road, I saw an indicated average of 5.5 L/100 km on the car’s trip computer, but travelling at prevailing multi-lane highway speeds of about 110 km/h bumped that figure up to 6.7 L/100 km. That’s a good result, but I’ve driven other small cars that have managed similar numbers. Much of Hyundai’s success is staked on its policy of packing lots of equipment into its cars at prices that undercut the competition. 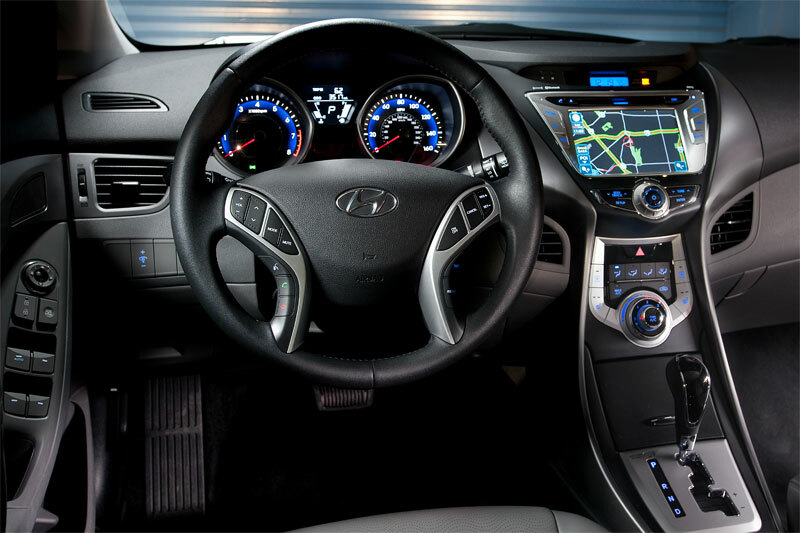 The Elantra follows that philosphy, including power windows, locks and mirrors and a USB and auxiliary input in the $15,849 base L model, while air conditioning, heated seats, a telecoping steering wheel with audio controls, cruise, Bluetooth connectivity and upgraded 16-inch wheels are standard in the $17,999 GL. 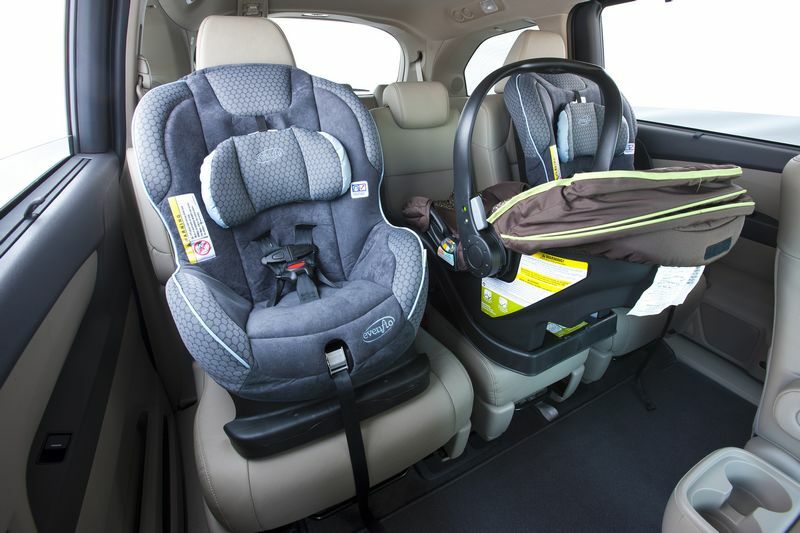 For less than $20,000, the GLS adds a sunroof and, unbelievably, heated rear seats. My tester, the $22,699 Limited trim, includes leather seats, automatic climate control and the automatic transmission, which, by itself, is a $1,200 extra in the lower trims. Limited with navigation is worth $24,699. I fully understand Hyundai’s desire to load its cars up for less money than expected: low prices and long lists of standard features look good next to each other, for sure. A car’s value equation also includes how it drives, however, and I’d gladly trade a couple of this car’s niceties for a quieter, more composed highway ride.